These are some photos that were taken years ago by me. How does a blade look like from the spoiler. These are a couple of photos I took today from my forgotten stock of these. I had totally forgot I had them. This is not rust, but oil that got solidified after all these decades. If this looks fine to you, you can buy these legendary blades at the asking price. You see 8, but I "broke" 3 packages of them, meaning I threw away 7 due to the solidified oil, their cutting edges were not perfectly clean. Also, it's almost impossible to get them out of the spoiler, without breaking it. Is the very possible wastage worth taking the risk and paying the asking price? So $.89 for 15 blades? A very good deal, just invest in some cleaning with rubbing alcohol. 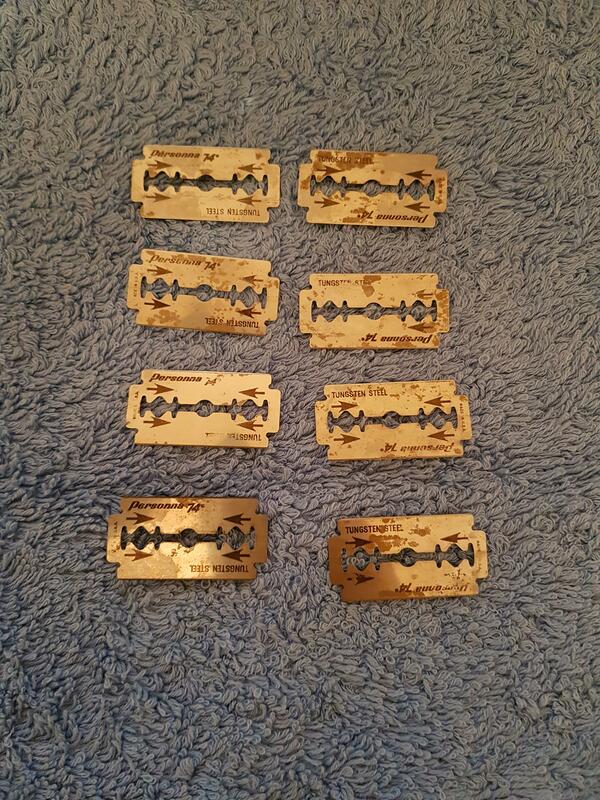 I received some 74's gunked up with the same problem, yes you have to destroy the pack but the blades are the same .. 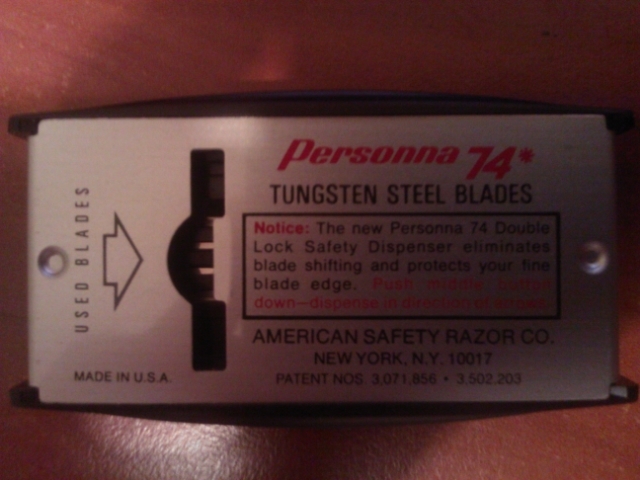 I have a decent stash of these blades, and they have always emerged in good condition from the dispenser, and provided me with wonderful shaves. Thanks for the heads-up; I'll certainly keep an eye out. The vintage blades that I have the most problems with (sticking together) are the 15 blade Gillette Platinum Plus; I suspect that this is due to cramming so many blades together. 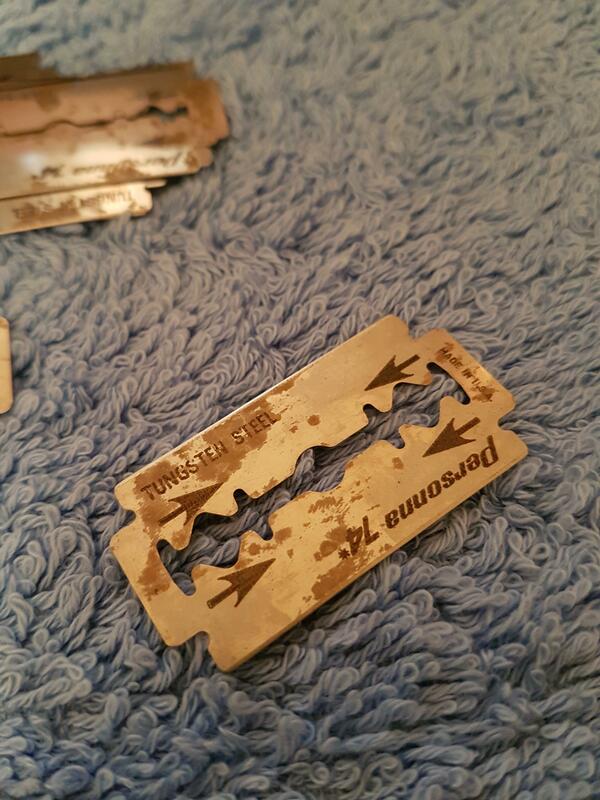 However, I've never seen discoloration on the blades after getting them apart. (02-05-2019, 01:31 PM)garyg Wrote: So $.89 for 15 blades? A very good deal, just invest in some cleaning with rubbing alcohol. 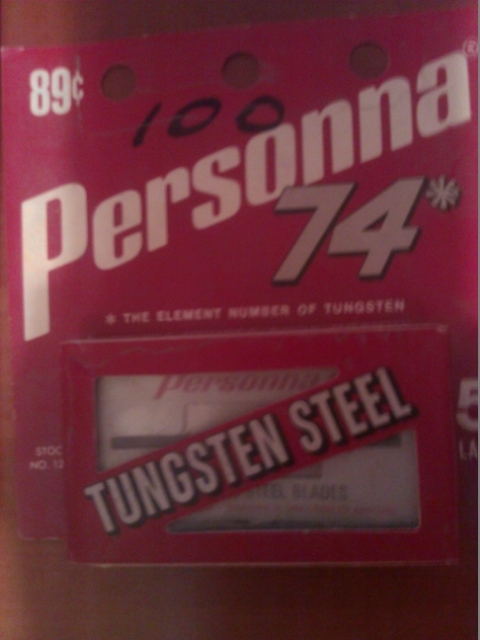 I received some 74's gunked up with the same problem, yes you have to destroy the pack but the blades are the same ..
You mean $.89 for each pack of 5 back in the day. I found about 14 packs and didn't pay a single euro. Cleaning with rubbing alcohol won't clean them up nicely. I've done that. There were oil spots all over the blade surface. I believe it's impossible to make them look like new. is something to be expected ,as a totally normal thing . or Tungsten -Cobalt carbide . The special steel alloy ,those blades are made from ,does contain cobalt carbide ,along with tungsten carbide. 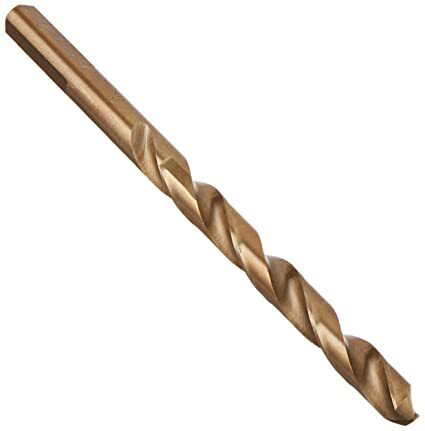 Those two are used together in the alloying of Tungsten steel . in the form of a golden -brown tarnish or brown stains,over time . Elevated temperatures ,will accelerate this phenomenon . 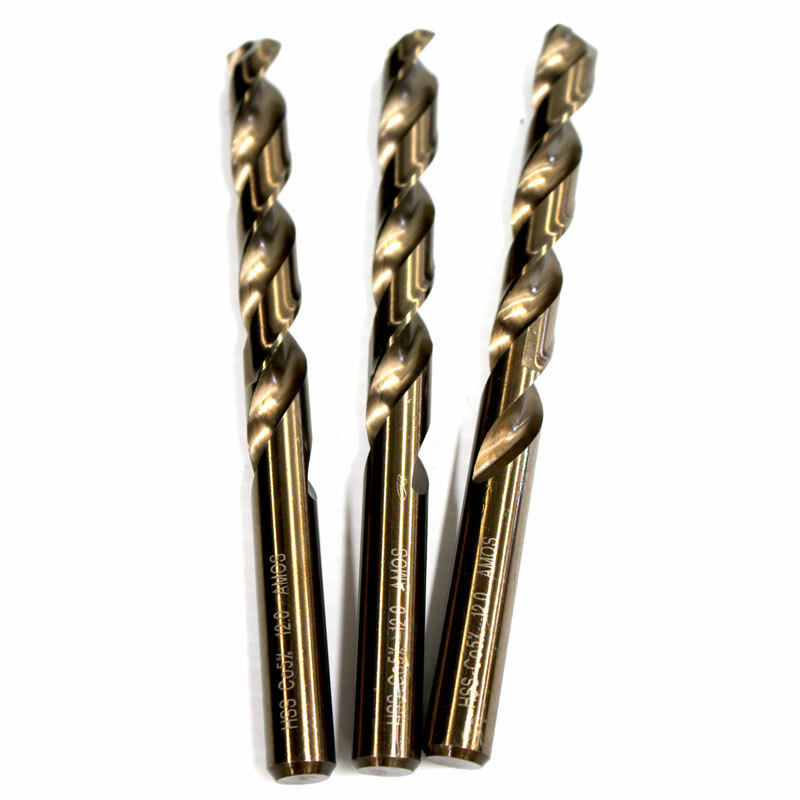 You can check the unused cobalt -steel drills bits ,which contain 5% or 8% cobalt carbide. They already have a brownish-gold hue. When their temperature rises under use ,they get a really dark brown hue. Furthermore ,Tungsten steel alloys are sintered composite materials. Being so hard and sintered , means that these alloys are extremely prone to breakage . Pressed the "Reply " button ,instead of the "Edit " button . 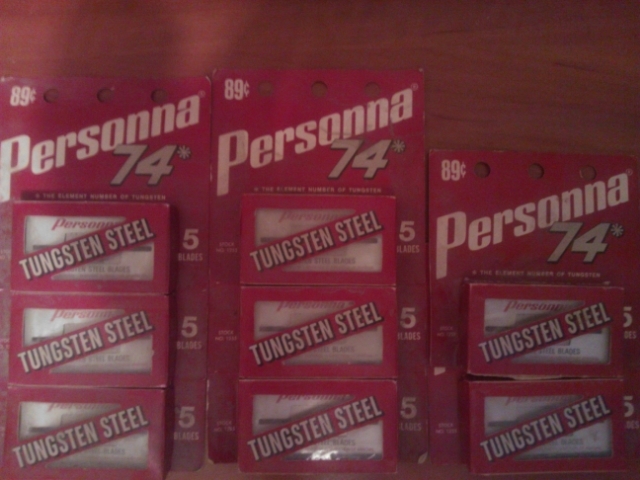 Regardless of the color and rust issues, I have quite a few of the Personna 74 tungsten blades (35). Nought them marked as samples and They are indeed extremely sharp and long lasting. 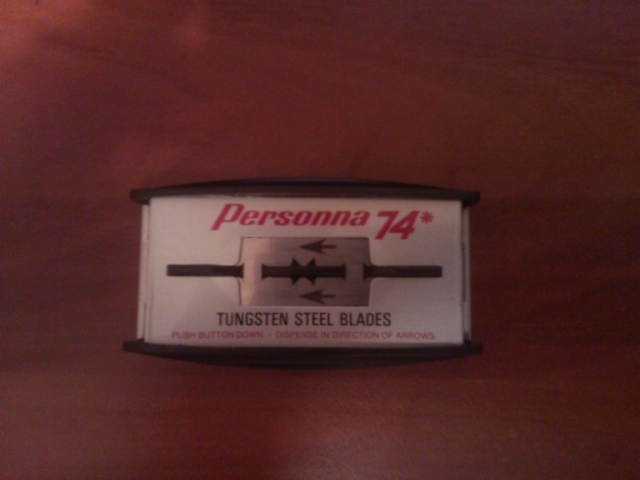 I am lucky to get more than 2 shaves from any blade made today, but for the Personna Tungsten blades I've tried (3) it takes 3 shaves for the blade to even calm down sharpness wise, and they are so sharp it's tough not to cause weepers By shave 5 it is about the sharpest smoothest blade I have used so far in over 50 years at this shaving thing. Next use, shave 6 for me will be interesting? 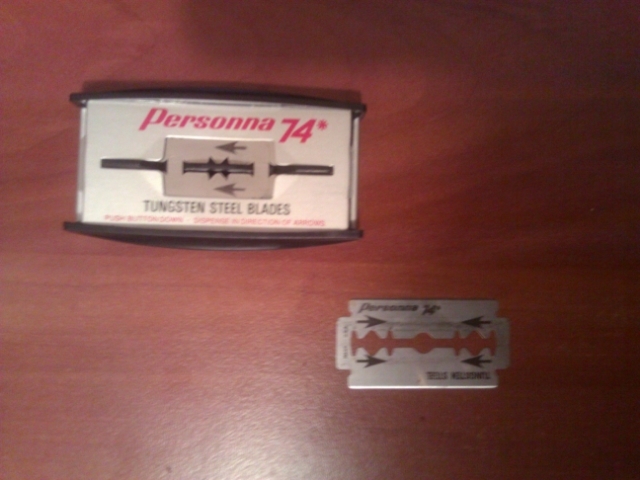 I bought the blades when the vintage price was under $1.00 per blade. And, each was individually wrapped in white and then red paper. Very Clean and new looking but These blades are not the same as any blades made today. Tungsten aside, I can only imagine and wonder the manufacturing process? I guess Personna would have to provide that answer? I doubt they will or would? I've posted this before but its easier than my hunt and peck method of writing a reply. Because I'm retired and have the time it takes to find them, bid low and lose 9 times out of 10 I've acquired more than enough of these to last my lifetime at a cost per shave equal to or less than modern ones. But it took a long time. It was my hobby. I would not shave with any blade that looked like the OPs. Even if I had tried to clean them. Blades are just too cheap to take a risk with. 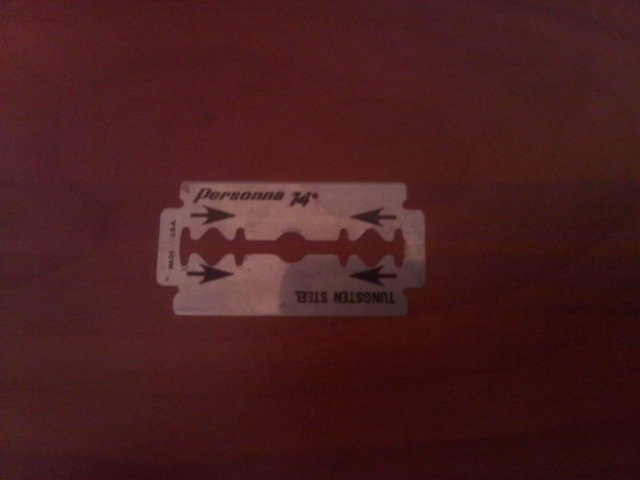 (04-11-2019, 09:18 PM)Tester28 Wrote: I would not shave with any blade that looked like the OPs. Even if I had tried to clean them. Neither would I. All the ones I use look new, although it I had to learn at first what to look for and what to avoid. If the 74s work for you, that's fine. I just don't believe they are worth the price they're going for and the such high praise. Such posts and articles only help the hype grow ever further, in my honest opinion. Nikos, I don't think they're worth the prices being asked either, not if you're going to use them. I believe that pricing is based on it being a collectible. I have enough to last me a lifetime but I didn't pay those prices. I'm in an unusual situation, I'm retired and since I have plenty of time on my hands I kind of made it my job to track every offering down, bid low and lose 9 out of 10 times but I did it often enough to where once in a great while some would slip by everyone else and I'd get them. For instance once someone had two lots of 20 on that auction site. One was a bid situation and the other was a buy now for $99. I bid $27 and was the only bidder and got that lot, the other sold for 99 dollars a few days later. When you factor in I get 30 or so shaves per blade the couple hundred I have come in at a cost per shave less then you can get 100 Polsilver Super Iridiums at. Not worth the effort if I was still working but a fun and worthwhile project for me.